This year’s DESIGN MIAMI/ celebrates diversity in design as the following highlights from this year’s gallery programme show! Design Miami/ welcomes Firma Casa, its first participating gallery from Brazil (São Paulo), into a program that is notably strong in design from Latin America. The distinctive and innovative work of the Campana Brothers – Design Miami/ Designers of the Year in 2008 – are represented at both Firma Casa and Friedman Benda. 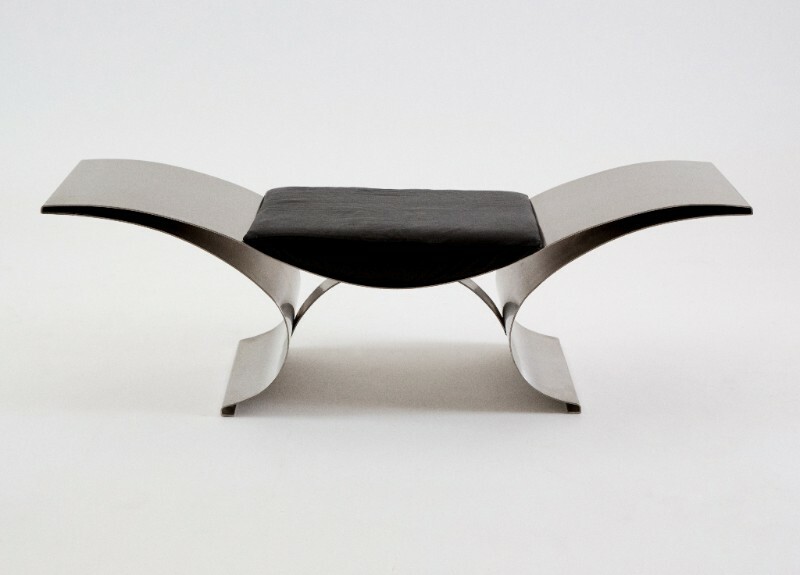 A rare jacaranda wood bench by Modernist pioneer Joaquim Tenreiro is showing at R & Company. Cristina Grajales Gallery exhibits a spectacular coffee table by Gloria Cortina topped with golden obsidian, a naturally occurring volcanic glass. 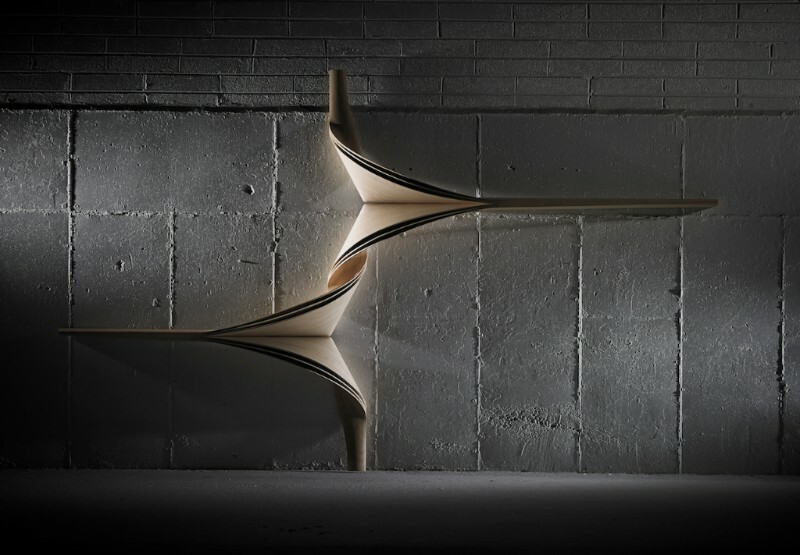 ADN Galeria of Mexico participates in the Design Curio program with a project by the Mexico-based sculptor and furniture designer Eduardo Olbés. The scholarship, research and the preservation of historic works that are so important to the world of collectible design are aspects that are perhaps less visible to visitors to Design Miami/. A number of exhibitions at this year’s fair will put the spotlight on projects honoring design history. Galleria Rossella Colombari will recreate an interior in the style of Villa Planchart in Caracas designed by Giò Ponti, using colors and materials dear to the architect. Another apartment – this one from Milan, designed by Ponti’s protegé architect Attilio Colonello – will be recreated from historic drawings and photographs by Casati Gallery, in a scenography that will include a number of pieces from the original scheme. There’s a story behind every piece of great design, often one that reflects personal relationships, whether between a group of like-minded creative souls, friends and mentors, hard working duos, romantic partners, or siblings. 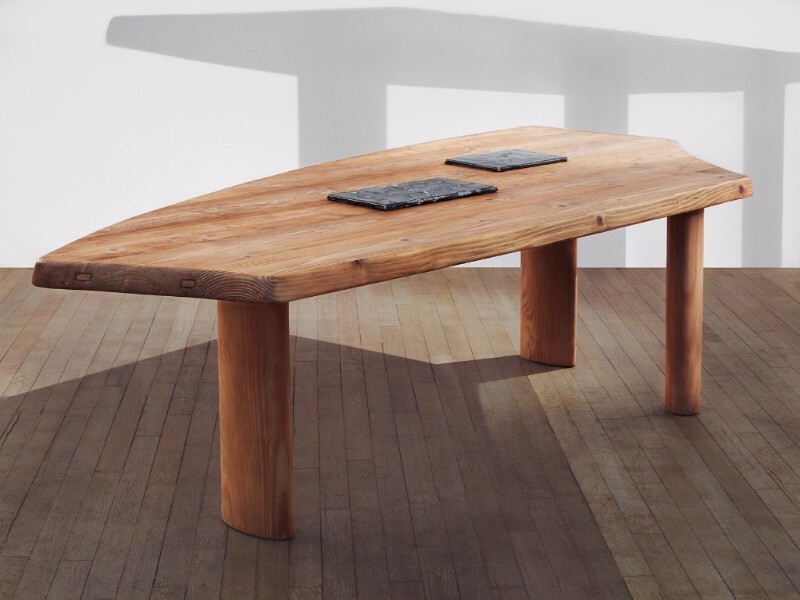 One compelling personal connection central to the history of modern design is evoked in a piece presented this year by LAFFANOUR – Galerie Downtown: a table given to Jean Prouvé by Pierre Jeanneret in 1943, and which remained in use by Prouvé’s family at his house in Nancy, France. Family relationships are evoked in pieces by Xander Kriel, who created his Vos Altar in memory of his grandfather for Southern Guild, and by Wharton Esherick, who’s graceful sculptural form The Actress (1938/9), presented by Moderne Gallery, was inspired by his daughter Mary. Thomas Fritsch will present works by Verá Szekely, co-founder, with André Borderie and her husband Pierre Szekeley, of Borderie Szekeley, a trio that created work together until 1957. Large-scale design and architectural components continue to be a keenly anticipated highlight of the Design Miami/ program. Galerie Patrick Seguin will once again be sharing a work of pioneering mid-century modular architecture, in this case the only remaining example of Jean Prouvé’s 1939 baraque de campagne, a rapidly assembled 4 x 4m military hut. At Galerie Philippe Gravier, Kengo Kuma will present a small nomadic tearoom constructed from simple lightweight plastic materials and inspired by the humble, reclusive dwelling of the writer Kamo no Chōmei. Substantial works in wood by Wendell Castle will be on show at Friedman Benda, R & Company and Carpenters Workshop Gallery, in celebration of the American art-furniture pioneer’s equally monumental career. At Sarah Myerscough Gallery, a new generation of designers creating large, finely-crafted works in wood will be represented by Joseph Walsh. From a lighter perspective, first time gallery Orley Shabahang presents the durable, finely crafted silk rugs created by Haji Jalili in the late 19th century represent a highly portable form of monumental design. On the opposite side of the spectrum is the continuation of Naihan Li’s I Am A Monument series at Beijing-based Gallery ALL, which shrinks monumental architectural structures into playful functional pieces for the home. Playful and sometimes pointed references to familiar everyday objects infuse certain exhibitions at Design Miami/ with visual wit. Juxtaposing precious materials and functionality, Siegfried De Buck’s silver Praline Box (1993) is the ultimate vessel for Belgium’s prized chocolate confections, showing at Caroline Van Hoek. 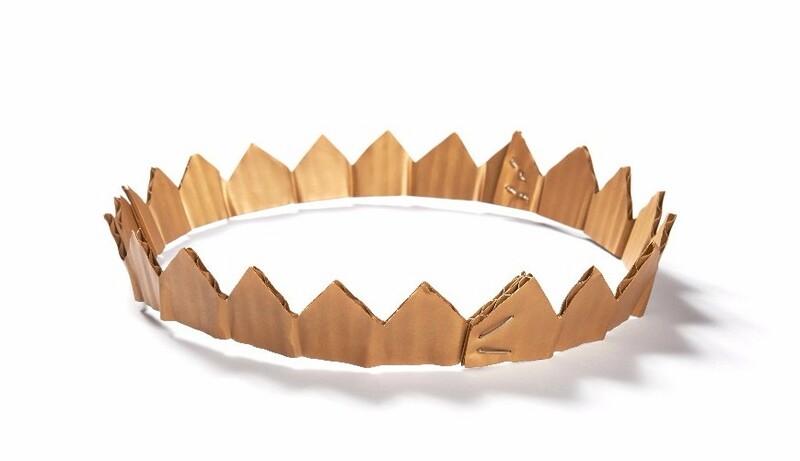 Fellow gold and silversmith David Bielander’s thin metal jewelry pieces at Ornamentum reference the simple cardboard crowns of childhood role-play. Another familiar childhood form – in this case a paper airplane – receives a nod in Karen Chekerdjian’s IQAR table for Carwan Gallery. Eric Serritella’s series of ceramic vessels crafted to resemble sections of weathered wood will receive its most ambitious addition yet in a new, larger, work inspired by the branches and bark of a birch tree can be viewed at Jason Jacques Inc. Wolfs + Jung’s ongoing Nature V2.01 explores the disconcerting contrast of apparently natural surfaces and manmade forms: ammann// gallery will be showing new works from the series including a teetering stool balancing on sticks cast in bronze and a rounded bronze vessel apparently clad in bark. Echoing the burgeoning interest in clay as a sculptural medium over recent years, decorative ceramics remain a strong area of creative innovation at Design Miami/. 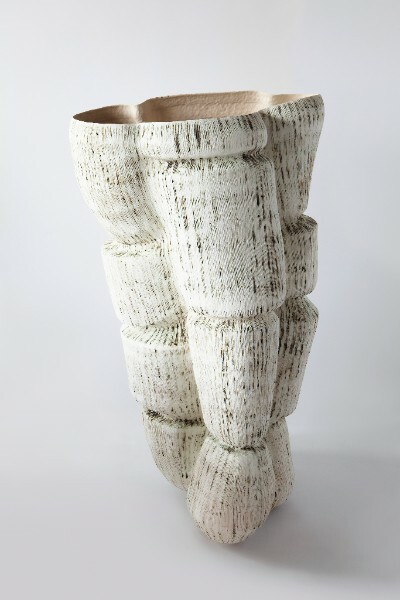 The Finnish ceramicist Kristina Riska will show Bodypart III, a sculptural vessel of vast proportions and organic curvature at Hostler Burrows. Lee Hun Chung contrasts the glassy finish of ceramic glaze with the rough, stone-like surface of concrete in a low table at Seomi International. 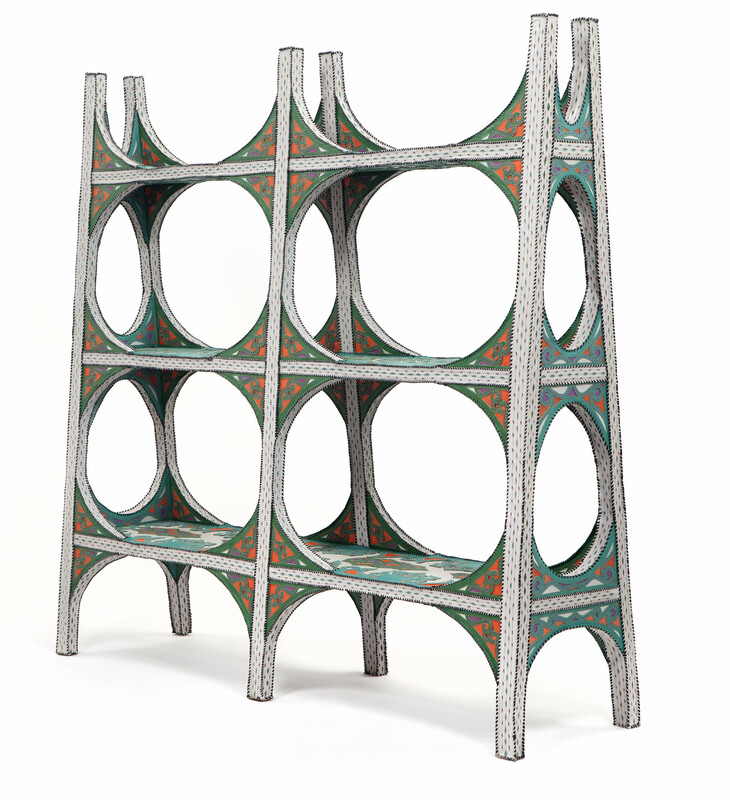 Patrick Parrish Gallery will show the first ceramic works of painter Guy Correiro. Geometric shapes occur both by natural and man-made design, the former often inspiring the latter. Ralph Bakker’s jewelry designs, coming to the fair with Antonella Villanova, are based on naturally occurring geometric patterns found in nature. 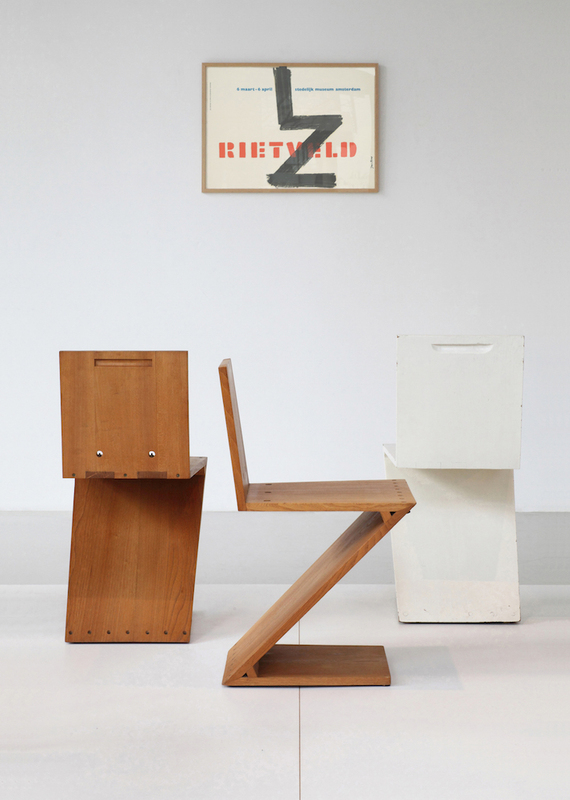 Galerie VIVID presents geometry that changed the face of design in post World War I Europe in the form of Gerrit Thomas Rietveld’s Zig-Zag Chair. Brian Thoreen’s work, appearing at Patrick Parrish Gallery, demonstrates his passion for geometric forms that evolve from nature. The technical challenges and diverse effects afforded by glass continue to inspire forms both ethereal and unexpected. 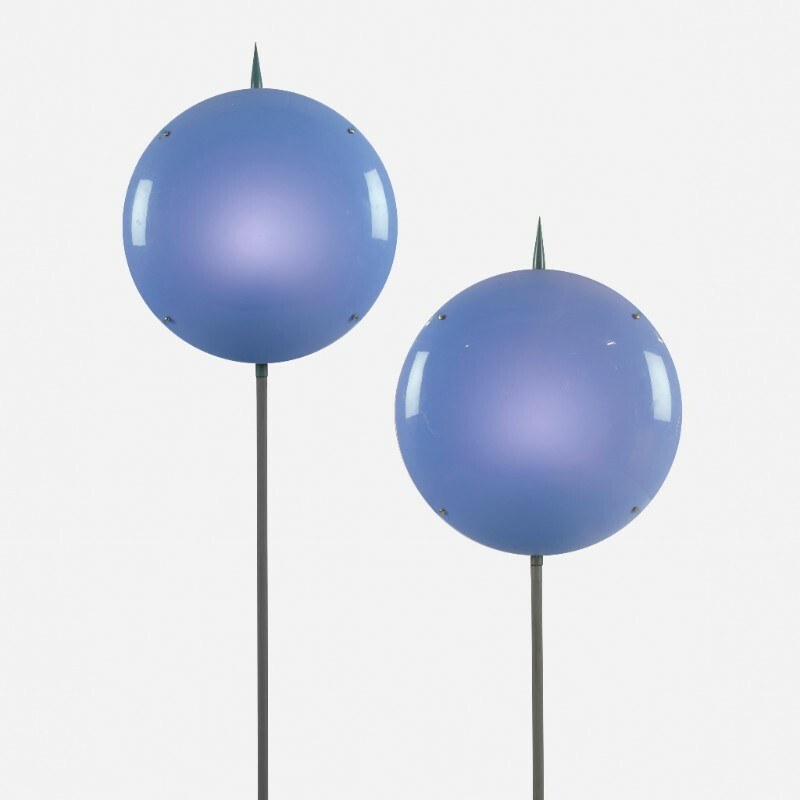 At Galerie kreo Julie Richoz shows new works created with glass blowers at Marseilles’s legendary CIRVA (Centre International de Recherce sur le Verre et les Arts plastique). Kyoto-born designer Ritsue Mishima – represented by Pierre Marie Giraud – moved to Venice in 1989 to work alongside the city’s fabled glassblowers, deviating from Venetian tradition to create un-pigmented works. Commonplace Studio’s Lumière series marries blown glass to contemporary technology, illuminating each globe with projections of moving images in a ghostly tribute to the early days of cinema at Victor Hunt Designart Dealer. 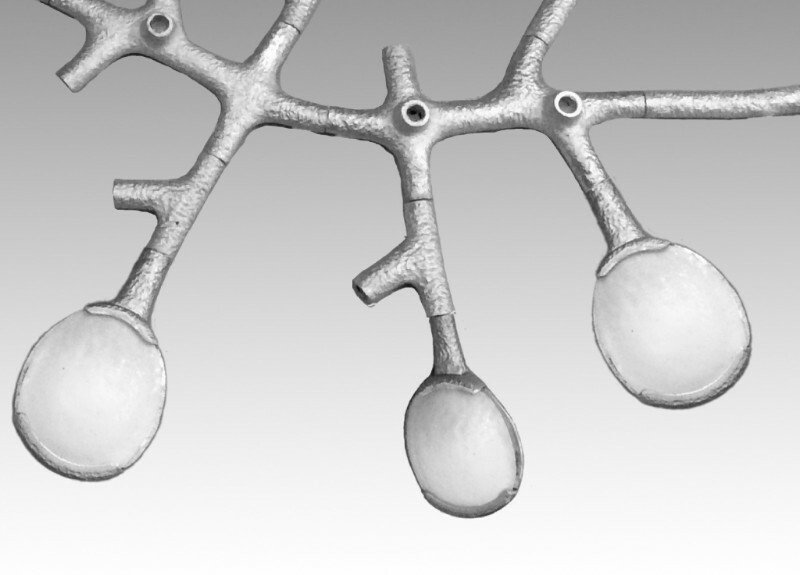 Terence Main’s branchlike Light Pods set budlike glass elements at the tips of cast aluminum twigs to create a ‘growing’ chandelier at Magen H. Gallery. The contrast of cold, hard metal with hide is one addressed in a multiplicity of ways at Design Miami/. The unyielding, cool lines of Maria Pergay’s stainless steel furnishings find soft contrast in their leather and hide upholstery. Alberto Biagetti and Laura Baldassari make a more playful juxtaposition in the Body Building collection at Secondome, an ‘anti gym’ that takes formal inspiration from metal workout equipment, undercutting the hard edge with soft pink upholstery. Nanda Vigo’s fur is of the faux variety: at Erastudio Apartment-Gallery synthetic leopard skin covers her hybrid brass forms from 1971 that perform both as coat racks and lighting elements. The classic combination of hard steel face and soft leather straps appears in a number of the vintage watches with extraordinary provenance at the fair’s first watch gallery Le Collection’Heure.